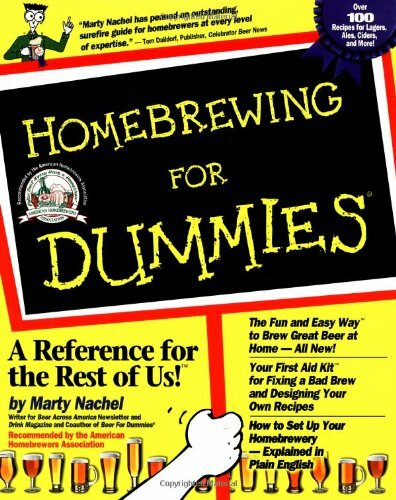 Home Brew Beer: Where do you buy your beer? Where do you buy your beer? Where do you buy your beer? Do you shop at your favorite package store exclusively, or do you pick up the occasional 12 pack at your local grocery as well? I prefer to hit my local package store because they have a pretty diverse selection, and a couple of knowledgeable guys to help me select something new every now and then. But the beer aisle happens to be adjacent to the bread and diary aisle, typically my final stop as I complete my weekly grocery shopping excursion. It's always at this point that I find myself in a quandary. Do I pick up a few beers from the meager selection Shaw's has to offer, or do I stop by CT Beverage Mart on the way home? The extra stop will equate to a better beer selection, but also leaves my diary and meat products in the hot trunk a little bit longer than I like. There's also the added benefit of saving money at Shaw's. For example, I picked up a 12-pack of Sam Adams Boston Ale tonight as I finished my grocery shopping because it was on sale, about $4 off the normal price. And, if I include my beer purchases in the grocery bill, the Alewife offers less scrutiny regarding my beer budget, lets just say, the beer gets lost in the shuffle, somewhere between the Kashi cereal and deli meat. So, its a matter of selection versus convenience and affordability. My local Shaw's market has all the usual suspects from AB, they also have some Sam Adams and Harpoon offerings as well as Sierra Nevada, Magic Hat, Long Trail and the like. But no local brews! I actually bumped into a beer distributor a week or so ago as he stocked the shelves and I asked him why there were no local brews on the shelf. His answer was that Shaw's doesn't see the profitability in it, and most micros can't afford to sell their brews at the low rates the macros can direct to the chain. My hope is that one day the big grocery chains see the light and at least try to embrace craft beer a bit more, along the same lines as Ruby Tuesday's. Let's talk selection and variety. Next time your at the market, take a look at their beer selection and then come back and leave a comment, let me know where you shop and give me an idea of what beer they have to offer. I was camping the other day and wanted to pick up a six pack of beer. We were at Stop n Shop getting some food, but the beer selection there was so bland I didn't buy anything. I made the separate trip to the liquor store down the road from the campground to get beer. I was rewarded. I got a bottle of Ommegeddon. They had a small but excellent selection of beers. The DFH 60 was a lot better than any Harpoon IPA I could have picked up. My regular grocery store doesn't even sell beer, so that makes it easy, too. But even so, I would almost always go to a well-stocked liquor store. When I drink beer at home, I want something I've never had before or something that I know is awesome. I have the same issue with no beer in the groceries in my town. But the next town over does... If I'm going out specifically to get beer, I hit a package store, but if I'm buying the family's weekly groceries, and I'm in a hurry, it's not uncommon for me to pick up a 6 or 12 pack of a "staple" beer, just to have something on hand. Most groceries in this area have a lame selection too, but I can typically find an OK old standby like Sam Adam's Boston Lager or Ale or even a Sierra Nevada. In Pennsylvania you can't buy beer in a grocery store. That leaves beer distributors (its a Pennsylvania thing) for a CASE of something or a bar with expensive take out singles/sixpacks. 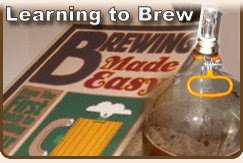 Then there's the brew pubs and beer bars that sell growlers. Oh yeah and Victory and The Sly Fox are in the area so I can pickup bottles and sometimes cans at the brewpub. PA is where they have those drive up package stores right? That's the same thing as a "distributors" correct? That always cracked me up, a drive up window to get booze... What will they think of next? You know I don't think I know of any drive up package stores, but, you could be right. I mean there are some interesting exceptions in this state. Lew Bryson has a site dedicated to abolishing the PLCB. Interesting reading. Pastors and Missionaries and beers oh my! 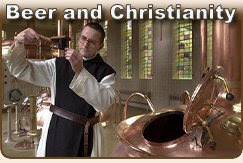 Oktoberfest, Altbier, or dirty useless water? 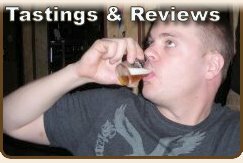 I would love to review your beer!